Cometh the hour, cometh the man. In the centre of the field, shaded from the autumn sun, a lean young man in white stands, feet apart; a slight hunch to his shoulders, a frown of concentration on his boyish face. He studies his mark until the whistle blows, then takes six, maybe seven steps forward, his pace never rising above a gentle jog. The flight of the ball from his foot is flat and rapid – a spare, whipped trajectory that beats the wall on its near side and hits home just under the bar. It’s not far from the goalkeeper, but its pace reduces him to a bystander. David Beckham sprints to the stands, arms wide like an aeroplane, to take the applause of these tribunes that have hailed him so many times before. For Beckham, it is a moment of redemption; for those watching, a wave of emotion like England fans have not experienced since perhaps 1966. The crowd already knows what the goal means. Even with the stalemate it ensures, England need Germany to fail but, only moments ago, the Germans have obliged by drawing feebly at home to Finland. First place in the qualifying group is England’s, secured with the last meaningful kick of the very final game, and Sven-Göran Eriksson will be taking his team to the 2002 World Cup. In the stands, the Swedish coach raises both cufflinked fists above his head, and gives his assistant Steve McClaren a polite embrace. It’s a moment typical of the man, a genuine and heartfelt expression of relief and professional pride, but no great outpouring of emotion. There is much to be proud of, for qualification is a far better outcome for England than most were forecasting when Eriksson took charge only nine months before. Although an imaginative choice, he was an appointment born of desperation after a succession of blows left the England team on its knees. In a tough few years for national footballing morale, Beckham had been vilified after being sent off against Argentina at the 1998 World Cup, since when a tactically embarrassed England had crashed out of Euro 2000 at the group stage, not even consoled by dragging Germany with them. Pitted against the old rivals in the qualifiers for 2002, England stumbled, losing 1-0 to the Germans in the last match played at the old Wembley. The defeat had prompted the emotional resignation of Eriksson’s predecessor, the volatile, chest-beating, somewhat limited and inescapably English, Kevin Keegan. No suitable Englishman presented himself for the role, and despite the nationalistic mutterings this prompted in some quarters, Sven was seen as a prestigious appointment in the circumstances. It was assumed, as one of Europe’s most respected coaches, that he would bring a new level of tactical sophistication to an England team whose players were traditionally raised on the meat-and-two-veg of the classic English 4-4-2. Rio Ferdinand recalls how keenly he anticipated his first meeting with Eriksson, preparing himself to engage with one of the world game’s tactical maestros. More to the point, the Swede was seen as what his predecessors – Keegan in particular – were not: a steely-eyed winner. Although his greatest managerial achievement had been steering IFK Göteborg to the 1983 UEFA Cup, Sven’s contemporary reputation was founded on the manner in which his Lazio side had claimed the Serie A title in 2000. Packed with talent, Eriksson’s side were five points behind Juventus with three games to go, but as the Old Lady of Turin fluffed her lines, Lazio held their nerve, winning on the final day as Juve flailed at rain-soaked Perugia. A dogged victory by the finest of margins, it remains Sven’s last major trophy to date. Although he was seen as a coach capable of rising to the sternest challenge, the immediate tests facing Eriksson when he arrived in England were no more than moderate. Winnable games dotted the first half of 2001, with a home game against Finland followed by trips to Albania and Greece. Yet expectations were almost pitifully low, not entirely without reason; England were bottom of their qualifying group, having followed the Germany defeat with a goalless draw in Helsinki. If Sven was actually the man the press and public later thought they’d come to know – a charming but mildly cynical specialist in fulfilling limited goals – then this combination of circumstances was ideal for him. Sure enough, in the balmy sunshine of modest expectations, Sven made hay, winning all three games as England moved to second in their group. An altogether stiffer test awaited in the autumn, with a trip to play Germany at Munich’s Olympiastadion. This truly was do-or-die stuff: England were six points behind Germany with a game in hand and a win would give them some chance of overhauling Die Mannschaft if the two remaining English fixtures went well. Anything less, however, and England would be scrapping with Finland for second place and the chance of a playoff. Most thought the pressure would get to England. Instead, Eriksson’s men produced one of the most spectacular displays in England’s history to record a defining victory. Falling behind within the first 10 minutes thanks to a Carsten Jancker goal, England seized the lead by half-time with a typically cool strike by Michael Owen and an equally typical long-range drive from Steven Gerrard. Even then, the odds would have favoured the Germans returning to close out at least a draw, which would have sufficed for them. 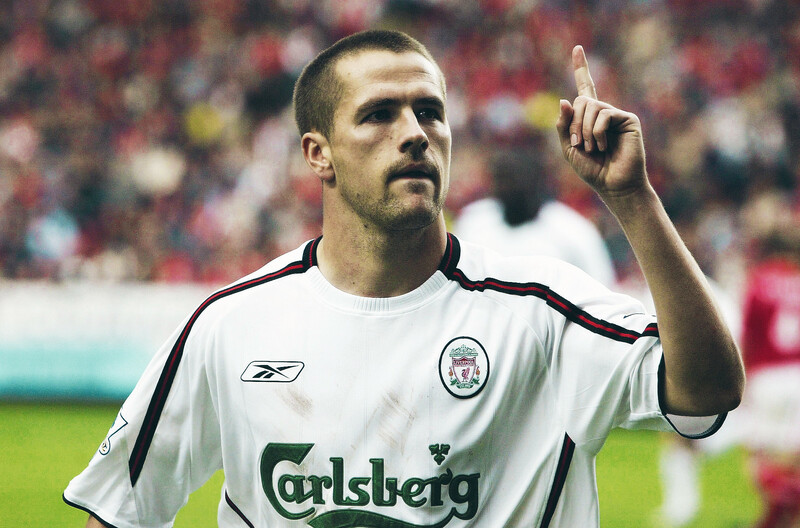 However, chasing the game, they left room at the back for Owen to claim a hat-trick – undoubtedly his greatest – and Emile Heskey to make it five. The result was as much of a seismic shock in England as in Germany, the country seemingly stunned by what Eriksson had achieved. The press were lost for words, and the defining report of the game remains not a pithy headline but the simple, stark photograph of the Olympiastadion’s minimalist scoreboard setting out the facts: Deutschland 1, England 5. Such a dominant win over their nemesis would scarcely have been thought possible even had England been at home. In an uncanny parallel of the German win at Wembley a year before, the game remains the last international the iconic Bavarian stadium has hosted. When their feet touched the ground again, however, England knew that even after their stunning result in Munich, and a less celebrated home win over Albania four days later, they still needed to match Germany’s score on the final day. When they did just that, thanks to Beckham’s free-kick, talk turned to the World Cup, and also to the rise of a hugely promising group of players who would come to be known, sometimes admiringly and sometimes sardonically, as the golden generation. When Eriksson named his preliminary World Cup squad, the golden generation were well represented. 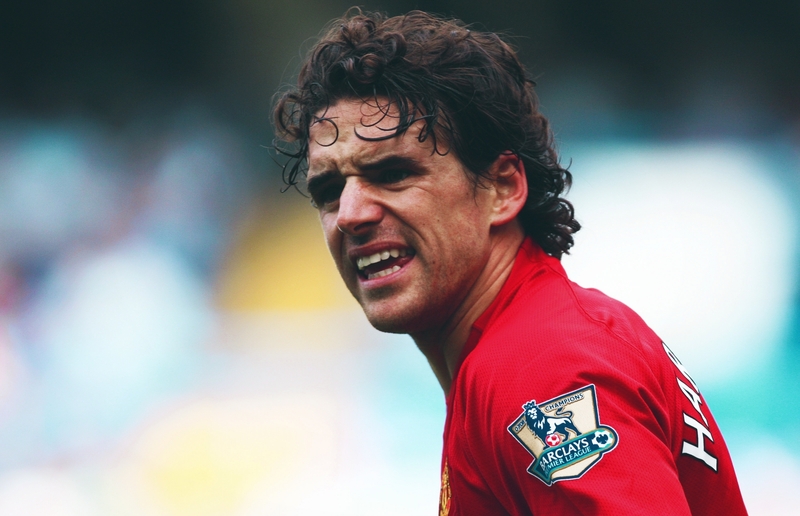 In reality, there were two generations; the elder, a group of players born in the mid-1970s and therefore approaching their prime under Sven, included Beckham along with clubmates Paul Scholes and Gary Neville, and Arsenal’s Sol Campbell. The younger cadre included Owen, Gerrard, Ferdinand and Ashley Cole. Other young players, like Emile Heskey and Bayern Munich’s Owen Hargreaves, filled out the squad along with a few veterans. The evergreen David Seaman was joined by Martin Keown and Teddy Sheringham, who had won the free kick from which Beckham secured qualification. With qualification in the bag, Germany defeated, and an exciting squad at his disposal, Eriksson was enjoying a lengthy honeymoon period in the eyes of the public, and England looked well set, even if expectations were tempered by being drawn in the group of death alongside Sweden, Nigeria and another old enemy, Argentina. Any buoyancy of mood was to be challenged, however, by two crises that broke in April 2002. One of them was something Sven could do nothing to prevent, yet the other was entirely of his own making. The first was a slew of injuries, and it began exactly where England’s World Cup story had begun: on the pitch at Old Trafford. In April 2002, Manchester United faced Deportivo in a Champions League quarter-final, a tie now remembered solely, if at all, for introducing the word metatarsal to the footballing dictionary. Early in the second leg, Depor’s Argentine journeyman, Aldo Duscher, went crashing into Beckham. An x-ray found a small bone in the Englishman’s foot was cracked. It was possible that the injury might actually have been caused by an even worse tackle in the first leg, made by Duscher’s colleague Diego Tristán, but whatever the truth, the ramifications were clear. Although he would be named in the squad, there was a very real prospect of Beckham missing the World Cup. England could have been forgiven for assuming a curse at work when Gary Neville, whose forward runs from right-back were a key attacking weapon, also broke a metatarsal playing in the Champions League. The same small bone, its name only weeks before unknown except to anatomy professors, had now laid low two of England’s brightest hopes. A third was to fall when Gerrard, nagged by injuries all season, pulled up in Liverpool’s final league game with a groin injury that required surgery. He withdrew from the squad announced only days before, giving fate another chance to scoff at England when his replacement, Danny Murphy, promptly broke a metatarsal. As he spoke, the faithful Sinclair was on his second long-haul flight within days. Upon missing out on the final squad on May 21, he had returned to London to stand by on call, only to be summoned back when Murphy immediately fell injured. Justifiably, Sven had by this time garnered a reputation for calm and good-humoured professionalism when dealing with the press. This persistently unruffled approach was all the more remarkable given that scrutiny of his personal affairs made Sven himself the story in April, with “affairs” very much the operative word. Eriksson, not powerfully built and only 178cm tall, had slightly disappointed elements of the press by initially failing to fulfil many of the Englishman’s stereotypes of the Swede. As a result, some of the press pack must have thought it was their birthday when they found out not only that he seemed to take a liberal approach to sexual liaisons outside of his relationship with Nancy Dell’Olio, but also that the other woman in his life was TV presenter Ulrika Jonsson, indisputably Britain’s second favourite Swedish celebrity at the time. Riding out the media frenzy with the not unreasonable line that his personal life was nothing to do with football, Eriksson felt obliged to apologise to his squad for allowing the Ulrika story to dominate the headlines. “Welcome to England,” he recalls Robbie Fowler quipping, and for Sven it was certainly a lesson in the way the English press were accustomed to treating the national team manager. For most fans, however, the story was a mere distraction – perhaps amusing – from the business of the World Cup. Yet some were raising more serious questions: were there reasons to doubt England’s prospects at the tournament? Perhaps there were. Apart from the difficult draw and all the injuries, were England actually good enough to have a say at the business end of the competition? Most of their qualifying wins had been against soft opposition. The cathartic Germany victory was different, but it also had something of the air of a freak result. Against Greece, England had laboured, while against the best team they’d faced since Eriksson took charge – the Netherlands, in a summer friendly – the Dutch had easily won 2-0. England often looked a prosaic side, unable to change their tactical approach or draw on individual creativity to break down a determined and organised opponent. Eriksson, for all his urbanity, had cut his teeth in the 4-4-2 hurly-burly of 1980s Swedish football. Just how much did he have in his tactical locker? The first World Cup game, on 2 June, was singularly unsuited to answering this question since it was against none other than Sweden. Enlivened beforehand by mischievous speculation about the England coach’s divided loyalties, it was a dire game. 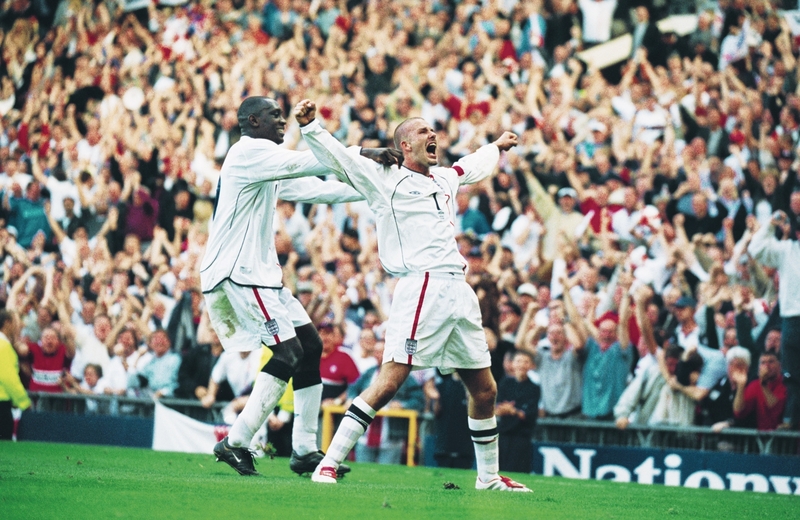 Ahead on 24 minutes when Sol Campbell headed in Beckham’s corner, England retreated, content to concede two-thirds of the field to their modest opposition. The Swedes equalised in the second half through a Niclas Alexandersson drive after a poor clearance from Danny Mills. Sweden looked much the livelier team for most of the game, with England tired and flat. Only Beckham, scarred by his long and bleak battle for fitness and truculent when withdrawn after an hour, remembers the game with any feeling. Argentina, meanwhile, had defeated Nigeria, meaning they controlled the group, and their crucial second game against England was now a mere banana skin to be stepped around. For England, it was another must-win game for which their opponents were favourites – another Germany away. Many recalled the emotional defeat to the same opposition in 1998, with Beckham certainly among that number. In the event, he was right to be confident, and in Sapporo that evening, England gave one of their defining performances of his time in charge. Against a dangerous opponent, the Three Lions found something that had been missing in the first game – not just fighting spirit, not just energy, but verve, inventiveness and an expanded sense of what was possible when in possession. England played around Argentina highly effectively in the first half, and broke for the interval a goal to the better thanks to a penalty won when Owen gulled Mauricio Pochettino into a trip. Beckham took the kick, his mind a whirl. To read his memoirs, one would think all of his considerable demons stood in goal that night alongside Pablo Cavallero. The flesh-and-blood goalkeeper, in fact, stayed still for the kick, and was mere inches away when Beckham smashed it down the centre. Its ferocity gave him no chance to react. Fierce, too, were the emotions in the second half as England withstood a massed assault by Argentina for most of the rest of the game. A victory earned the hard way, the long Eriksson years would provide nothing to match this game for intensity. The result, along with Sweden’s victory over Nigeria the same day, flipped Group F on its head, and with Sweden and Argentina facing off on the last day, a draw against the Africans would suffice for England. Nobody was surprised, then, when a draw turned out to be the result, but many were taken aback by just how laboured England seemed against an already-eliminated opponent. To some, the goalless outcome, which cost England first place in the group, vindicated Eriksson’s strategy of always doing no more than enough. On paper, winning would have given England an easier draw, but the dangers of this reasoning were exposed when Sweden lost to Senegal in the second round. Undoubtedly, then, the Nigeria result was sufficient, but it gave little to be proud of, and it is telling that Eriksson recalls the game as a nervous performance, not as clinical or professional. Read | Why have England traditionally feared the fantasista? The second round game, against Denmark in Niigata, should be better remembered than it is. It was perhaps the happiest occasion of the entire Eriksson era, a carefree romp on a summer Saturday evening in which England were dominant from start to finish. All of England’s key men played well. Ferdinand claimed the opener, assisted by Beckham, and Owen took his first goal of the tournament. Emile Heskey, with an uncharacteristically decisive finish, scored the third. This, surely, was what the stereotypical England fan is said to expect every time; the team in control, making the game safe by half-time, moving the ball with style, easily winning an important knockout game against decent opposition. Eriksson does not say so, even with hindsight, but Niigata was arguably the brightest point of his time in charge. As every fan knows, the meeting with Brazil in Shizuoka on 21 June was to be England’s last of the tournament. Although uniquely pored over by fans in the aftermath and since – much more so than the games that eliminated England from Sven’s subsequent tournaments – the game typifies the lower points of the Eriksson era. Reliable in navigating qualifiers and group games, against meaningful opposition in knockout games, England tended to freeze. Even if they scored first, which often they did, England would cower, ceding to their opposition and inviting them forward as if their only hope were to cling on. In Shizuoka, then, England typically took an early lead, Owen pouncing on a mistake by Lúcio before nervelessly feigning to shoot then dinking the ball over the goalkeeper. It’s a brilliant goal, one of Owen’s best; the feint at such a moment of pressure the clearest example there could be of the man’s preternatural calm and presence of mind. On 23 minutes, it is also the last thing of any worth that England will do in the game. Sven, in his memoir, expresses regret that England could not hang on to half-time with their lead intact so as to use the interval to regroup. In fact, his half-time team talk would be the second of three remaining incidents in the game that became the most analysed, or over-analysed, moments of his time in charge. The first was Rivaldo’s goal in first-half stoppage time, when England had almost achieved Eriksson’s dream of a half-time lead. Beckham received much of the blame at the time for jumping out of a tackle in England’s half which afforded Brazil possession, however, the opprobrium faded quite quickly after the event, and rightly so because, well worked as the goal is by Brazil, it is nothing short of a team disaster for England. Beckham pulls his punch; Scholes is easily bested in a challenge for the second ball; Cole, out of position, has to challenge Ronaldinho but gets sucked into leaving the inside-right channel free; Campbell neglects to cover. Rivaldo’s shot, though fairly well struck, is no thunderbolt, and Seaman might have stopped it. The popular analysis focused on Beckham, who had his metatarsal on his mind, but Eriksson admits the truth, that this goal represented England’s failure as a unit. There followed what may be the most talked-about half-time address in the history of the England football team. Eriksson’s apparently taciturn manner at this crucial hour has drawn criticism, including from players who were there. “We needed Churchill, we got Iain Duncan-Smith,” goes the waspish comment, attributed to Gareth Southgate. Given the dry and thoughtful manager that Southgate would become, it seems surprising to hear him express a preference for bellicose leadership. Sven was certainly a coach with an awareness of the importance of morale – to the exclusion of tactics, some might say – but he does appear to have believed motivation came from within and was known to prefer bilateral chats with players “to get their head right”. In any event, something seems to have been missing that day, and Campbell – no fan of the Churchillian style – recalls a lack of intervention from Eriksson. The coach himself ruefully questions whether England’s men really believed they could overcome Brazil that day. He seems to take their internal level of motivation as a given, and it’s easy to sense a lack of self-awareness in his failure to ask what he could have done to change things. An intelligent man, it is hard to believe he didn’t ask that question at the time. Perhaps he found no answer and is now avoiding the issue. Whatever belief England might have mustered would in any event have been sorely tested on 50 minutes when Ronaldinho, taking a free-kick 40 yards out, hit a flat, backspinning drive towards goal rather than the cross that both his colleagues and the English defence were expecting. The ball soared over the stunned Seaman before dropping sharply into the goal. Ronaldinho later insisted he intended to shoot, though he gracefully admitted that – having overestimated Seaman’s capabilities – he’d been aiming for the other, empty side of the net. Even with Ronaldinho dismissed for a foul with 30 minutes left to play, England couldn’t muster an assault and allowed Brazil to dominate possession until the final whistle. It was as if every ounce of confidence and capability they possessed had been expended in gaining their fragile lead. Looking back, one wonders whether it could ever have been different, whether England could have beaten Brazil, and for that matter, whether they could have gone on to win the tournament. Certainly, there are reasons why not, and plenty of explanations were proposed as to why the Brazil game was lost, many of them quite specific to their time and place. Injuries were one, of course. England were also simply tired. A number of players recall obsessing about the weather on the day of the Brazil game, cursing the heat. Surely the temperature would not have played so much on less tired minds. Some ventured, with reason, that Brazil might simply be the better team, possessing as they did the kind of creative individual that could unlock a tight game and that England seemed to lack. Individual errors were made, such as Seaman’s for the Ronaldinho goal, and individual errors are often considered random and unaccountable. But it is hard not to think that, with superior tactics, England might have done better, especially against a field as weak as in the later stages of the 2002 tournament. The Brazil performance, flat and one-dimensional, was not a black swan; rather, it typified the lack of flair and ideas that characterised Sven’s England. One does not have to be a shameless cheerleader to observe that the golden generation – awful term as it is – was a crop of players of genuine quality. All of Cole, Ferdinand, Campbell, Hargreaves, Beckham, Scholes and Owen won enough in their club careers to demonstrate they belonged on the same field as Rivaldo, let alone Roque Júnior. Perhaps Eriksson’s England simply reflected the man. Organised, compact and purposeful in their pursuit of limited goals, they seemed to lack a higher level of ambition, to want for enterprise and a sense of the possible. 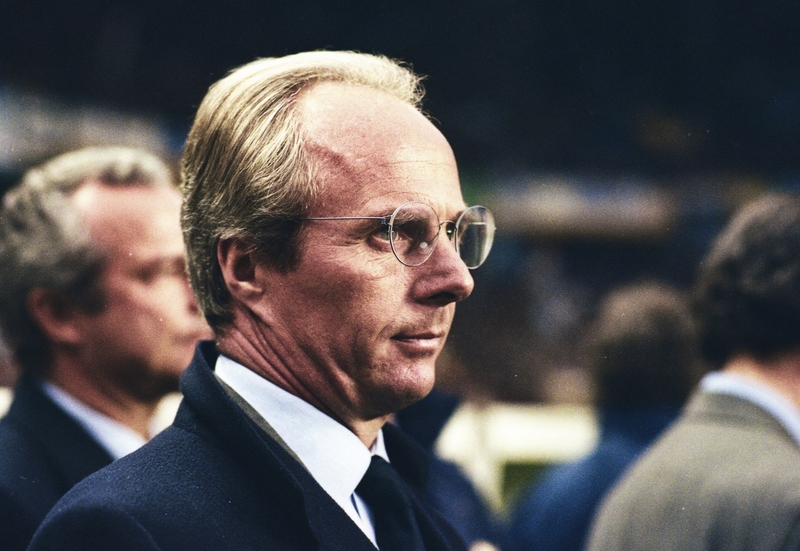 Much the same was true of Sven – polite, professional, disciplined, he didn’t entirely lack an interest in tactics but was a profoundly cautious coach. He invested hours in scouting the opposition as individuals, the better to respond to them, but offered no conceptual vision of how his teams could set themselves up to dominate a game. Reactive in his approach to the game and personally the picture of urbane contentment, Sven seemed happy to see out this autumnal phase of his career keeping expectations modest, the easier to fulfil them. He could have articulated a more ambitious vision for England but that would have been to raise the game on himself, and that was not his style. If that conclusion seems harsh – it is not meant to – for it was a rational position and Sven-Gõran Eriksson was England’s choice. If it all proved such a waste for England to have such a rare crop of players just at a time when expectations were almost deliberately kept low, then we should ask ourselves why we did not demand more. Why we were so ready to accept the limits of ambition?